For 3 billion years, one of the major carriers of information needed for life, RNA, has had a glitch that creates errors when making copies of genetic information. Researchers at The University of Texas at Austin have developed a fix that allows RNA to accurately proofread for the first time. The new discovery, published June 23 in the journal Science, will increase precision in genetic research and could dramatically improve medicine based on a person’s genetic makeup. Certain viruses called retroviruses can cause RNA to make copies of DNA, a process called reverse transcription. This process is notoriously prone to errors because an evolutionary ancestor of all viruses never had the ability to accurately copy genetic material. The new innovation engineered at UT Austin is an enzyme that performs reverse transcription but can also “proofread,” or check its work while copying genetic code. The enzyme allows, for the first time, for large amounts of RNA information to be copied with near perfect accuracy. Reverse transcription is mainly associated with retroviruses such as HIV. In nature, these viruses’ inability to copy DNA accurately may have helped create variety in species over time, contributing to the complexity of life as we know it. Since discovering reverse transcription, scientists have used it to better understand genetic information related to inheritable diseases and other aspects of human health. Still, the error-prone nature of existing RNA sequencing is a problem for scientists. Ellefson and the team of researchers engineered the new enzyme using directed evolution to train a high-fidelity (proofreading) DNA polymerase to use RNA templates. The new enzyme, called RTX, retains the highly accurate and efficient proofreading function, while copying RNA. Accuracy is improved at least threefold, and it may be up to 10 times as accurate. 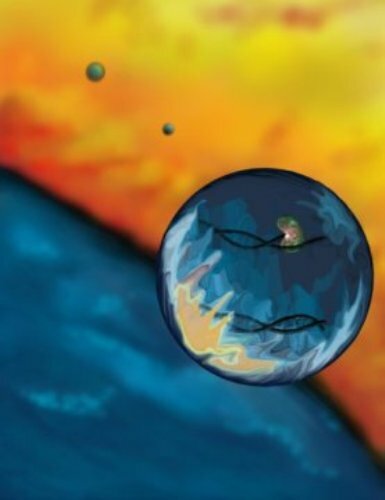 This new enzyme could enhance the methods used to read RNA from cells. In addition to Ellefson and Ellington, authors include Jimmy Gollihar, Raghav Shroff, Haridha Shivram and Vishwanath Iyer. All are affiliated with the Department of Molecular Biosciences at The University of Texas at Austin. This research was supported by grants from the Defense Advanced Research Projects Agency, National Security Science and Engineering Faculty Fellows, NASA and the Welch Foundation. A provisional patent was filed on the new sequence of the enzyme.